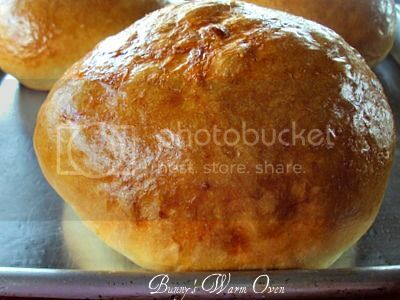 Bunny's Warm Oven: Italian Bread Bowls...Use them for Soups, Salads or Dips! Italian Bread Bowls...Use them for Soups, Salads or Dips! There was a time when bread bowls were the rage. I don't hear anybody talking about them anymore. What a pity, they are so good and easy to make! To Read More, Click On The Recipe Title. I got the bread bowl bug sometime last fall and decided I was going to try my hand at it. I make all the bread we eat now and I figured another bread in the freezer can't be anything but good. I really should have a nice picture of the bread bowl filled with something delicious like soup or a salad or even a nice party dip. But it was a baking day here and I was up to my elbows in dough. I'll do that another day. 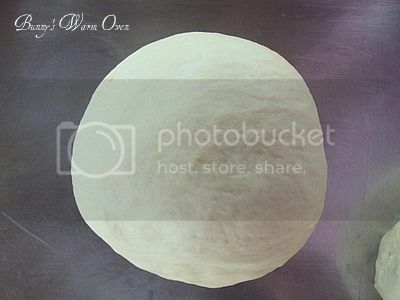 As I mentioned, this Italian Bread Bowl can be used for soups, salads or dips. But around here the way this usually gets eaten is...as a an Italian Bread. It is absolutely delicious as is, with butter of coarse! On a day that I make these they get wrapped in plastic and put into the freezer. You can let it thaw out at room temperature or help it along in the microwave. This bread is a staple in this house, it goes with everything. One of the very nice things about this recipe is you can make the individual dough balls any size you want to. 8 balls makes a nice size soup bowl, not to big,and you won't feel like your eating a ton of bread. 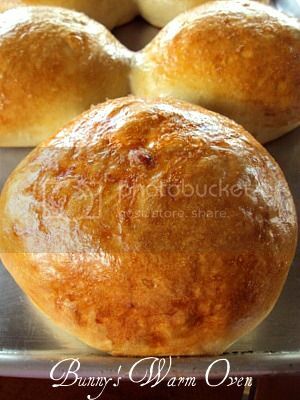 Go small to 10 balls and you have some nice Italian Rolls for burgers or sandwiches. Because I use these as bread to slice, I make 5 or 6 balls. Just enough for the two of us to slice up and eat along with dinner and have a little left over. The first time I made this dough I couldn't believe how silky smooth and soft it was. I loved having it in my hands. The recipe says to use all purpose flour but I have always used bread flour, I also use extra virgin olive oil instead of vegetable oil. And then brush with the water and egg white again. Bake until golden brown. I sure hope we have some adventurous bakers out there who'd like to make these, trust me, you will find ways to use them and eat them all the time! Enjoy! Add salt, oil and 4 cups flour to the yeast mixture; beat well. Stir in the remaining flour, 1/2 cup at a time, beating well with an electric mixer at medium speed after each addition. When the dough has pulled together, turn it out onto a lightly floured surface and knead until smooth and elastic, about 6 minutes. Lightly oil a large bowl, place the dough in the bowl and turn to coat with oil. Cover with a damp cloth and let rise in a warm place until doubled in volume, about 40 minutes. Punch dough down, and divide into 8 equal portions. Shape each portion into a 4 inch round loaf. Place loaves on lightly greased baking sheets sprinkled with cornmeal. Cover and let rise in a warm place, free from drafts, until doubled in bulk, about 35 minutes. Preheat oven to 400 degrees F (200 degrees C). In a small bowl, beat together egg white and 1 tablespoon water; lightly brush the loaves with half of this egg wash.
Bake in preheated oven for 15 minutes. Brush with remaining egg mixture, and bake 10 to 15 more minutes or until golden. Cool on wire racks. Here's a delicious light dip to fill your homemade bread bowls with! These look absolutely delicious! 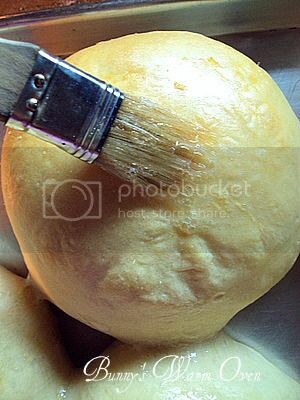 I love bread bowl soups! Yum! They look perfectly delicious! I would love to make these! Can the balls be frozen un-baked? Yes Aviva! They can be frozen after the first rise. 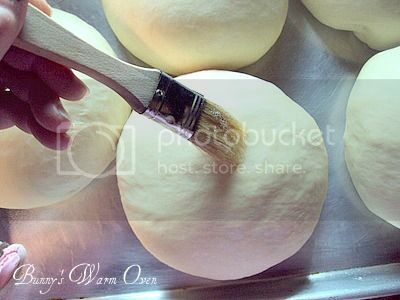 Punch the dough down, form them into the size balls you want and wrap them in plastic wrap and then into freezer bags, let as much air out of the bags as you can. I freeze them after I bake them this way. Do you know if the first part could be done on a dough setting in a bread machine? They look delicious! Green Glass Photography, does your bread machine hold that much flour? I would say you could if the machine would take that amount of flour. Thanks for stopping by! I have been looking for a simple to follow recipe for Italian Bread Bowls ! Glad I found this wonderful recipe. They look so tasty and fresh!! Heidy you will love these bread bowls!!! Thank you for stopping by!